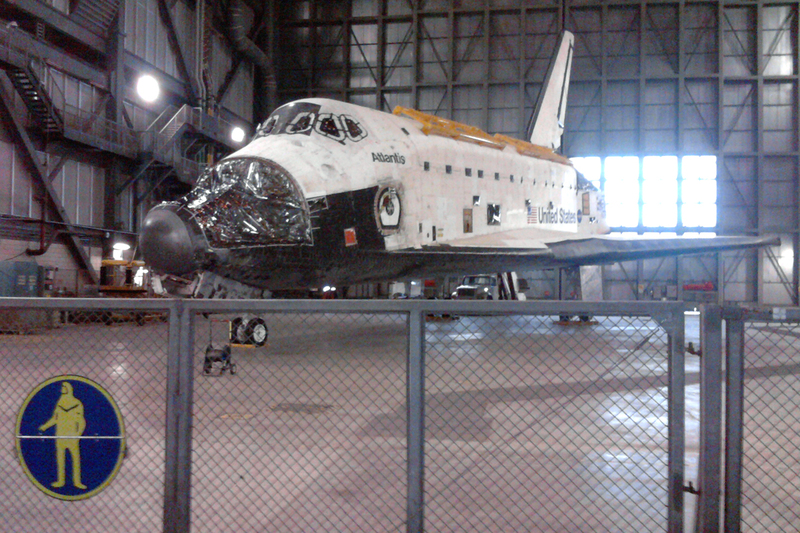 Atlantis in the Vehicle Assembly Building's transfer aisle, Jan. 30, 2012. I just finished a week of speaking at the Kennedy Space Center visitor complex, sharing with audiences my orbital experiences and hopes for a new generation of discoveries and human advances in space. As always, visitors from all over the world were fascinated to see and touch real artifacts from our half-century of space achievements, to visit the monumental facilities from which the first Moon explorers left Earth, and to imagine where we might go next in space. I share that same eagerness to explore the past, and to take part in the exciting future of space exploration. At the Kennedy Space Center, we have no lack of evidence of our past space successes: a Saturn V moon rocket, the mammoth Vehicle Assembly Building, the twin Apollo and shuttle launch pads, and a rocket park “forest” exhibiting the pioneering vehicles of the early space age. The Visitor Complex’s museums, IMAX theaters, Shuttle Launch Experience, and interactive shows and exhibits take thousands daily on a fact-filled voyage to the space frontier. Yet a visitor to the Kennedy Space Center today has a harder time discerning our nation’s future in space. We can see a retired space shuttle orbiter up close, but on this visit my ship Atlantis looked forlorn, missing engines and thruster pods. (That will change when she’s put on display at the Visitor Complex in 2013.) Its once-busy launch pads are now silent; Pad B, where I left for orbit on shuttle Columbia, has been stripped down to its massive foundation. The VAB still looms like a cathedral to exploration, but its empty assembly bays echo with inactivity. A few miles away on Cape Canaveral, the steel and concrete pads of the pioneering Mercury, Gemini, and Apollo programs are slowly losing their battle with the corrosive seaside atmosphere. More lamentable than rust and crumbling concrete are the missing workers: those who sent the shuttle aloft for three decades no longer work here – our space future did not arrive quickly enough. Behind the scenes at the Space Center, though, there are stirrings. One shuttle hangar already houses test versions of a new astronaut transport craft. Private booster companies are building rockets to carry cargo—and eventually astronauts—to the International Space Station. They will fly this year. 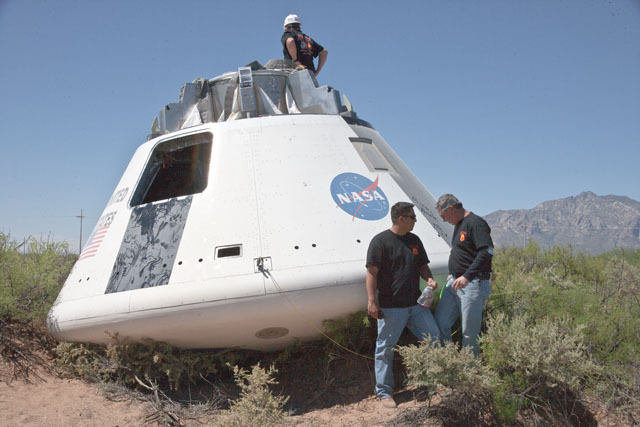 An old Apollo test and checkout building has been renovated into the factory for the deep-space Orion capsule. And the remaining cadre of engineers and scientists are still determined to pioneer space. Best of all, the nation’s future explorers and their families — by the thousands – still come here to learn and to dream. It all started here, and they want to experience the Cape’s history and excitement. Most of all, they want to know where and when we will launch, and explore, again. 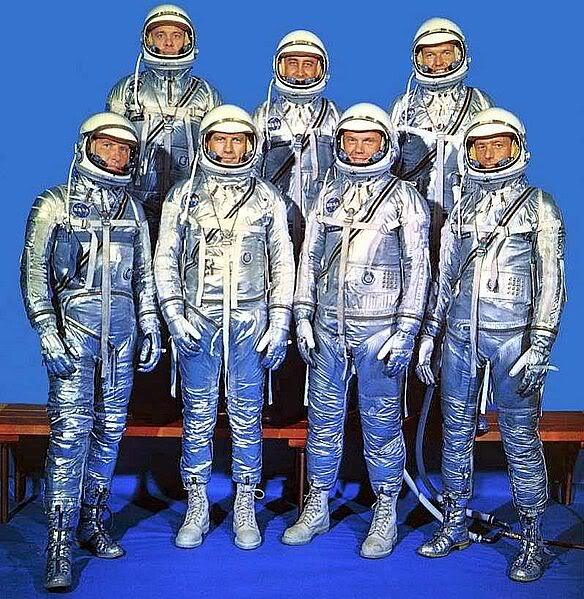 Mercury 7 astronauts in 1961. Glenn and Carpenter (front row, right) are the two surviving Mercury astronauts. Both flew in 1962. Glenn noted how keenly he and Carpenter missed the other five Mercury astronauts, no longer with us. Attending this lecture was a rare privilege. I hope many will take this opportunity to enjoy this discussion, and attend a future lecture by this duo. Both were my heroes when I was growing up. • Glenn – used manual control for last two orbits, after auto thruster failure. Thus too busy to do much science work.
. • Glenn – false indication of loose heat shield led to re-entry with retropack still attached, causing flaming chunks of molten metal to whip past his window. Was it the heat shield coming apart? • Carpenter – the heat shield was designed to be jettisoned when the main chute opened, hanging by straps below a canvas bag that acted as an air cushion when the capsule hit the water. This false indication of the air bag being deployed was what caused flight controllers to worry that Glenn’s heat shield was compromised. • Carpenter – his reentry was colorful due to all the ionized gases thrown off from the ablating heat shield. • Carpenter – it was great to see the main parachute open! • Carpenter – learning is fun whether in space or underwater. Enjoyed his SeaLab experience after Mercury. • Glenn – George W. Bush allotted NASA no new money for the new Constellation lunar program, expecting it would come from ending shuttle and space station. OMB gave NASA no relief, and no new dollars. I still treasure my copy of “Americans Into Orbit,” from 1964. Author of Sky Walking: An Astronaut’s Memoir, and Planetology: Unlocking the Secrets of the Solar System. The nation requires assured access to the International Space Station, now nearly complete and about to embark on more than a decade of fundamental research and exploration technology testing on the threshold of deep space. The facility has cost the taxpayer over $50 billion, and we must have the means to launch our own astronauts, on our own launch systems, to the ISS as soon as possible. The imminent retirement of the shuttle and our forced reliance on Russian launch systems (Soyuz) calls our leadership in space exploration into question. I have seen first-hand the professionalism in the NASA/industry team, and in four flights I repeatedly placed my safety in the hands of that team. I have confidence that both elements could execute a program to rapidly field an interim government-run launch system in the near future. With NASA’s fifty years of human spaceflight experience, earned in close partnership with industry, the agency can do the near-term job of reaching LEO safely and surely. Cost and schedule are an issue, so NASA should move rapidly to acquire a commercial booster capability married to a NASA-procured spacecraft, creating a combination that clearly exceeds shuttle safety standards and that quickly restores our access to low Earth orbit. Solid congressional support, as I discussed in Part I, will be necessary now and throughout the decade. I believe new commercial space companies will be successful, but their performance, cost, and safety record is unproven. How will they apply NASA’s safety experience and standards to produce a reliable, efficient, and safe system? I believe the surest course to moving NASA out of the LEO crew transport business is to give those firms the chance to demonstrate their skills via cargo delivery to ISS. NASA should provide strong oversight over the cargo service firms, examining and advising on the test program, the reliability, and the cost. Based on that performance record, the Congress and NASA can decide on when the nation can phase out government-provided crew services to LEO. NASA’s goal should be to do so as soon as the business and safety case can be proven. Our taxpayer investment in ISS is at stake; it is worth protecting from a complete loss of LEO access, or impaired access through foreign rocket providers. I recognize that there will be added cost due to this phased-in approach, but reducing the risk of lost access to space warrants the extra expense. (The cost could have been avoided had proper investments been made five years ago). I spoke on Sept 14. at the Aerospace Industries Association panel discussion on space history and policy on Capitol Hill. Panelists included Buzz Aldrin, Brewster Shaw, and Frank Culbertson. It was a distinct honor to be included with such experienced space fliers in a wide-ranging discussion for congressional staffers and industry representatives. I will break down my remarks in several installments over the next few days. Here is a brief summary of my first few minutes at the lectern. My key experiences in deciding on a space career were shaped by the Moon Race of the 1960s. I grew up just two miles from the Martin Baltimore plant where Buzz Aldrin used to fly in to inspect his Titan booster. Buzz also trained underwater for his Gemini 12 spacewalks in mid-1966 at the McDonough School’s swimming pool in Baltimore. The excitement of having the space race come to my hometown certainly shaped my career aspirations. Watching Apollo unfold, I learned our nation could do anything when its citizens worked together. Progress in space was so rapid that I was worried that I would not make it into the space program (as a test pilot) before NASA reached Mars in the mid-1980s. (I needn’t have worried). My entire education and career were directed toward the goal of qualifying to apply to NASA for the astronaut job. After being turned down twice, I was lucky enough to make it to the Astronaut Corps. 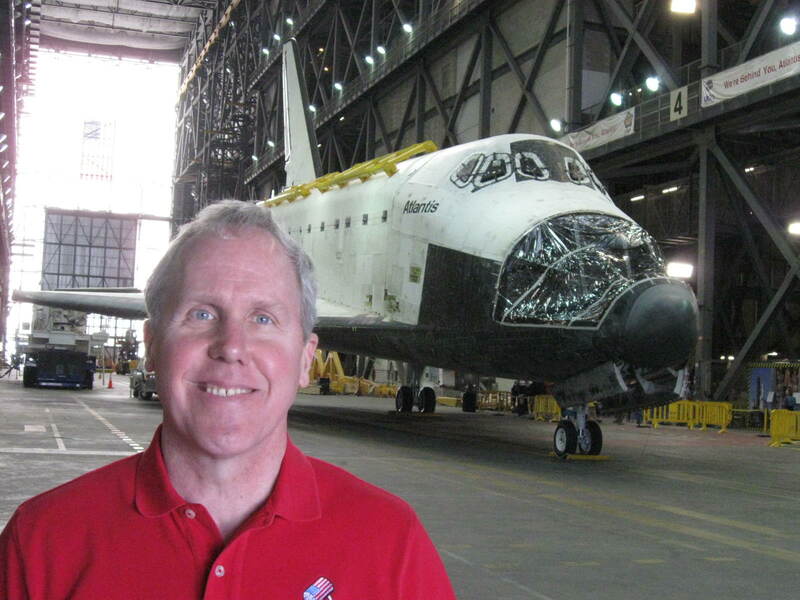 From 1990 to 2001, I had the privilege of flying 4 times on U.S. space shuttles. The shuttle was a superb and reusable science platform during the 1990s, the role it played in 3 of my missions. Human explorers aboard the shuttle materially added to the success of the research efforts aboard on my two flights with Space Radar Lab, and on STS-80’s deployment and retrieval of two science satellites, ORPHEUS-SPAS and Wakeshield. On my last mission, aboard Atlantis, I assisted my crew in ISS construction, delivering and activating its first science lab, Destiny. My career highlight was executing 3 spacewalks in bringing Destiny, the nerve center of the Station, to life. In 1993, the ISS program was nearly canceled by the Clinton administration, despite international commitments to our partners. It survived only when recast as a lifeline to the Russian aerospace establishment, to keep it from working with the Iranian regime. Again, a promising program was hobbled by lack of support (and NASA stumbles), taking far longer to execute than its original decadal goal. During the 1990s, NASA mounted two attempts to replace or supplement the space shuttle. The X-33 Venture Star program and the X-38 Crew Rescue Vehicle were both canceled as technical problems mounted or funds ran short. Congress and the White House were content to let the shuttle soldier on, with discussions of flying it through at least 2020. The Columbia accident in 2003 shook up NASA’s complacency, and both the accident investigation board and the new Vision for Space Exploration projected its retirement by 2010. Meanwhile, ISS finally reached orbit, with construction beginning in 1998 and continuing through 2010. But long delays in its assembly, and rising costs, left NASA with no budget to do anything but maintain the shuttle and move along with the ISS construction schedule. In my view, underfunding by the last administration made Constellation fall behind schedule and become increasingly unpopular. At the same time, NASA was given many difficult missions: replace the shuttle after 2010, operate the ISS, build a deep-space exploration vehicle, and create a launch vehicle to make beyond-LEO exploration possible. Neither the Bush administration nor the new Obama direction for NASA gave the agency the funds to accomplish these goals. Today, the slight increase called for in the president’s budget over the next five years is insufficient to meet all of NASA’s “new space” direction. i. Promised support by the administration and its OMB should be delivered – not doing so is demoralizing to the nation and to NASA’s team of highly skilled explorers. The Congress has the oversight responsibility to ensure that NASA’s goals are matched by available funding. ii. Without long-term support from Congress and the administration, NASA cannot attract a new generation of young explorers. Just continuing with the ISS and buying access to space from the Russians is not sufficiently exciting to young students considering an aerospace or high-tech career. iii. The Augustine Committee last fall explicitly called for a space program worthy of a great nation. The cost of that program is not $19 billion annually, just because that has what historically has been made available. That figure is not based on the facts of a truly ambitious exploration program. Chronic underfunding has been the major cause of NASA’s failure over the past two decades to create beyond-LEO hardware and programs. We must debate what kind of future in space our nation desires, and decide whether we are willing to spend what it takes to achieve it. I don’t believe 0.5% of our federal budget is a serious commitment to U.S. leadership in space. I doubt if in the next 10 years, that level of investment will take us where we say we want to go. The shuttle countdown clock stood at “L-minus-three,” three launches remaining — as engineers were able to deal with the helium isolation valve leak found in Discovery’s right maneuvering system pod in time for an April launch, and President Obama had not yet announced whether an additional launch, or launches, would be scheduled.Reports of the orbiter fleet’s retirement may still be premature. I have a feeling that this year and next we’ll see several “final” shuttle launches. We are nevertheless nearing the end of the shuttle’s long career, an appropriate moment to examine the craft’s historic and complex legacy. Even after 30+ years of atmospheric tests and orbital missions, the shuttle’s outstanding characteristics have yet to be matched by other space vehicles. The shuttle orbiters expanded our human capabilities in space a hundredfold. But the spacecraft, built by human hands, is an imperfect creation. 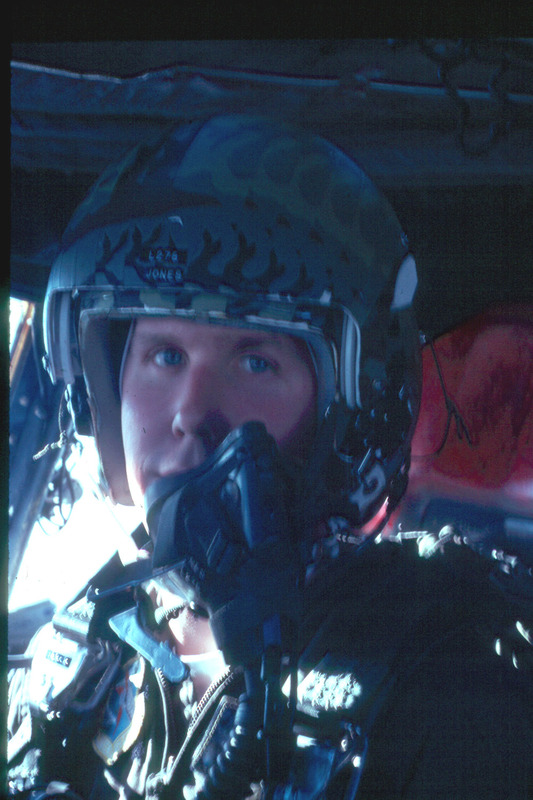 Compromised by tight budgets and conflicting requirements, its career has been twice marred by terrible tragedy. By recognizing how it has fallen short of its promises, and building on its many successes, we can make the next generation of spacecraft safer, more efficient and better suited to the demands of future exploration. During its 30 years in service, the shuttle has averaged about four launches per year. Its large crews (up to eight astronauts) have made it the initial route to space for about 61% of the 509 human beings who have left the planet. But at its conception in the late 1960s, its future was by no means assured. President Richard Nixon, swayed by his budget director, Caspar Weinberger, approved the shuttle’s development early in 1972. The project was underfunded from the start (a $5-billion budget target eventually swelled to nearly four times that), and NASA struggled to find a design that was both affordable and attractive to the widest spectrum of launch customers. To get the Pentagon to designate the shuttle as the sole launcher for the largest national defense payloads, NASA agreed on an orbiter with a 60×15-ft cargo bay, far larger than necessary for most scientific or commercial satellites. Air Force requirements were also responsible for the orbiter’s expansive delta wings. They delivered the hypersonic cross-range performance for a first-orbit, high-inclination satellite deployment from Vandenberg AFB, California, followed by an immediate reentry and landing back at the base. Although the larger wings and payload bay required a bigger (and more vulnerable) heat shield, the orbiter could then haul impressively large payloads to orbit. The shuttle can launch 15,900 kg to the 51.6° inclination orbit of the space station, and routinely returns 9,400 kg of cargo from the ISS in the Italian-built MPLM. By contrast, the ESA-built automated transfer vehicle delivers 7,385 kg to ISS; the JAXA HTV, 6,000 kg; the Russian Progress, 2,350 kg. The cramped Soyuz can return a mere 60 kg of cargo from ISS. Even when commercial cargo services debut in 2011, the shuttle’s truck-like hauling capacity will be sorely missed. The shuttle has been the classroom in space for two generations of NASA’s engineers, scientists and managers. Its frequent flights, steadily advancing capability and long career have built a bridge that has supported the nation’s space operations talent pool until the agency’s path could match its long-held ambitions. Carrying just two pilots on its first four shakedown flights, each lasting only a few days, Columbia and its companions gradually expanded NASA’s experience base in LEO. Beginning with relatively simple launches of commercial communications satellites, the fleet expanded its capabilities to national defense payloads and satellite rescue and repair. Commercial cargoes were dropped from the STS manifest after Challenger’s loss in 1986, but the orbiters stayed busy with a wide array of scientific missions, everything from planetary probe launches to repeated flights of ESA’s long-duration Spacelab module. In the nearly 20 years between its debut and the start of ISS construction, the shuttle served as a versatile science platform, hosting an astounding array of experiments and major payloads, both in cabin and in the cargo bay. With launch costs approaching half a billion dollars per liftoff, science customers could have found a cheaper route to space. But the orbiters did offer a reliable platform with robust power, pointing and communications budgets, and they could return science payloads to Earth for refurbishment and reflight. A purely robotic space science program would not hire the shuttle as a launcher. But the shuttle’s expansive capabilities for meeting national security and human spaceflight priorities allowed it to be made available for science. My two flights with the Space Radar Lab in 1994 were good examples. SRL included an advanced, multi-frequency imaging radar (http://www.jpl.nasa.gov/radar/sircxsar/) to map the changing face of our planet. Its 40×12-ft antenna weighed 21,380 lb; if flown as a free flyer it would have required a maneuverable satellite bus, 10-kW solar arrays, and a high-bandwidth communications system. 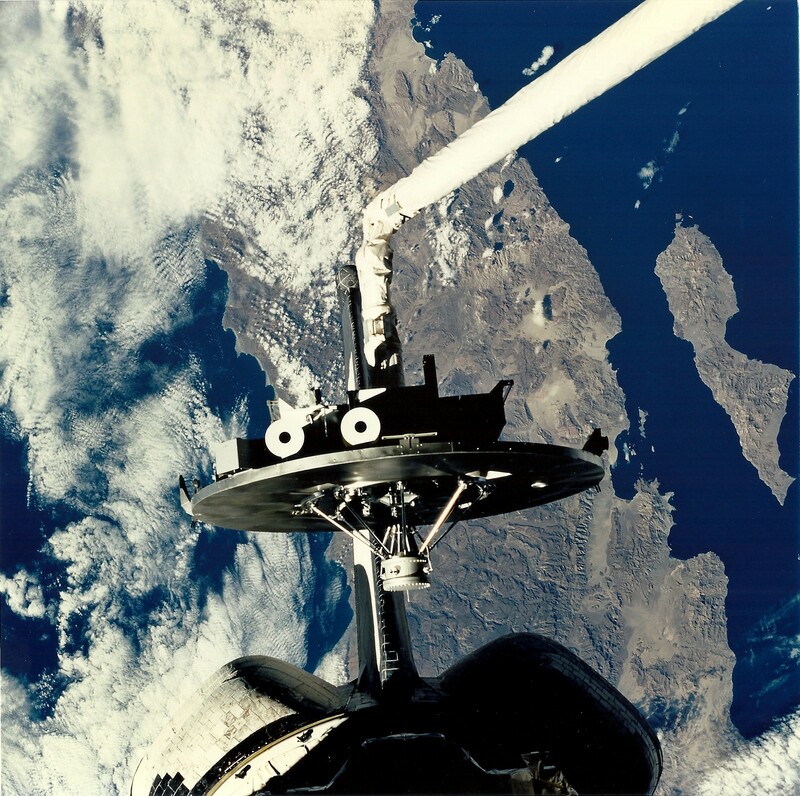 On STS-59, however, Endeavour provided pointing, power and communications; the crew conducted over 400 separate target-tracking maneuvers and captured the avalanche of digital imagery on high-capacity tape cassettes. Best of all, the shuttle enabled the radar to fly twice more, each mission more capable than the last, culminating in the shuttle radar topography mission (SRTM) in 2000. SRTM created a near-global high-resolution digital terrain map of Earth’s land masses, a product still being used by our military forces and in civil aviation cockpits. Seventeen years of robotic, EVA and rendezvous experience positioned NASA to begin space station construction in December 1998, when Endeavour joined America’s Unity docking node to the Russian-built Zarya module. Building an orbiting station was one of the earliest tasks envisioned for the shuttle, but not until nearly two decades after its first flight did ISS construction actually begin. During those decades when the nation’s future in space was not at all clear (a situation in which we find ourselves again today), the shuttle nurtured larger ambitions while providing a stream of research results and invaluable operations experience. From its inception in 1984, the ISS project depended on the versatile skill set of the shuttle fleet. The orbiters delivered, using all their unique capabilities— large up mass, precise proximity operations and complex robotics and EVA functions—to tackle this ultimate mission. With construction now more than 90% complete, the station incorporates three active research laboratories and a six-person crew. Shuttles delivered the bulk of the structure, most of its supplies (including tons of fuel-cell-derived water), all manner of experiments and outfitting hardware, and a steady stream of multinational astronaut crews. The end product is an outpost that now tops 800,000 lb in mass, spans 356 ft, and encloses 12,000 ft3 of pressurized volume, equivalent to a five-bedroom house. There are many ways to build a space station, but without the shuttle, the one circling 200 mi. above Earth for the past 11 years would never have materialized. As the ISS approaches 10 years of continuous occupancy, the shuttle is arguably the one tool whose existence was essential to the permanent habitation of humans off the planet. In 30 years, no nation has matched the space shuttle’s capabilities, adaptability and flexibility. But after two horrifying accidents that claimed the lives of 14 crewmembers, shuttle astronauts take an “eyes-open” approach to the vehicle’s shortcomings. The design compromises of the 1970s gave the shuttle large delta wings (protected by thousands of brittle heat shield tiles) and stacked the orbiter next to millions of pounds of explosive liquid and solid propellants. The crew escape system, a minimal bailout capability added after the 1986 Challenger accident, ties the crew’s fate to that of the orbiter itself. In 1986, and again in 2003 after Columbia’s loss, NASA examined proposals for an escape “pod” that could rocket the crew clear of a crippled orbiter. But the cost of such a major modification was deemed prohibitive. Post- Columbia, the shuttle would fly for at most five more years, NASA thought, so forgoing an upgraded escape capability seemed an acceptable risk. Ill-informed congressional talk of adding shuttle missions to close the LEO access gap consistently skirts this life-and-death issue. The U.S. owes its astronauts a better chance at survival than the current orbiter can offer. The shuttle has other shortcomings as well. The external tank thermal insulation and orbiter tiles are vulnerable to severe weather damage on the launch pad, and to debris impacts during ascent and orbit. The orbiter’s inability to withstand the impact of raindrops in flight (without suffering severe tile damage) has caused months of cumulative launch delays. Although NASA has been recertifying critical orbiter systems over the past few years, the aging of the fleet means thorny problems are sure to keep turning up, from corrosion and damaged wiring to balky valves and propellant system leaks. The shuttle’s Achilles heel has always been the intensive (and expensive) maintenance required for turnaround; that factor is bound to worsen if extension becomes reality. Each time I flew in space, I believed— I think correctly—that I was strapping into the best maintained, most thoroughly vetted vehicle that human beings could ready for launch. In 2010, I believe the machine is in even better shape, with respect to the operations team’s corporate knowledge and the skill of its maintainers. But shuttle managers are aware that the storied spacecraft is always just one serious in-flight anomaly away from being grounded in its tracks. Even if it stopped flying tomorrow, the shuttle has written volumes full of hard won lessons advancing the science of human spaceflight. Some of the “Do” lessons: Do design for crew safety and robust escape capability. Split cargo and crew when feasible, to enhance crew survival. Design for minimum life-cycle costs, anticipating a service life measured in decades. Do enable your human crew with provision for robotics and EVA. Design for ease of future upgrades to computers, communications and human interfaces. The “Don’t” lessons are even more valuable: Don’t expect multiple users to guarantee cost savings or streamlined operations. Don’t assume reusability is a cost saver—it can limit upgrades and raise turnaround costs. Don’t carry landing gear and wings to orbit and back unless a runway landing is truly a mission requirement. Don’t keep your vehicle sitting exposed on the launch pad for weeks. Don’t retire your sole down mass capability until you have a replacement payload return system ready. Spacecraft designers will use the shuttle as a case study for decades to come. Today, the space shuttle approaches its final missions at the top of its game. For 30 years, albeit at great human and economic cost, it has provided unmatched capability for U.S. ambitions in space. On the day it retires, the nation will lose a significant portion of its preeminence in space. When we will see its equal in orbit again is impossible to predict. Of greater importance than the loss of specific capabilities will be the question of whether we can retain the talent pool and collective experience that built and maintained the orbiter fleet. The near-term answer from the administration seems to be no. Whatever direction the nation adopts for human spaceflight, we should not assume the capabilities lost at shuttle retirement will be easy or cheap to resurrect. NASA will not have the budget to build a beyond-LEO transportation system and replace the shuttle’s many capabilities. Instead, the commercial sector should be asked to provide some mix of the shuttle’s attributes, as part of a broad LEO services contract. This new orbiter would take on EVA and robotic operations that cannot be performed at ISS. Ideally, the successor would reside on-orbit, robotically serviced and refurbished. Its crews would visit only temporarily (bringing their reentry vehicle along) to carry out high value repair, rescue or assembly tasks.This orbital work platform could be reconfigured for various tasks, then upgraded and expanded as new technology makes economic and operational sense. 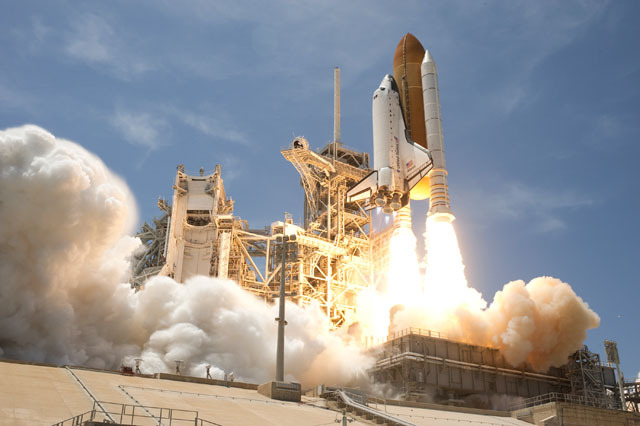 The first time I felt the three main engines roar to life under me, the first time I felt twin solid rocket boosters jolt and rattle my body to the bone, I was in awe of the space shuttle. Indeed, I felt somehow indebted to this machine—and the people who designed, built and operated it—for enabling ambitious tasks to be tackled in space, and for bringing me home at mission’s end. Perhaps I overlooked its shortcomings too easily. But when Americans see these magnificent vehicles up close at Udvar-Hazy and other museums across the country, we should swell with justifiable pride. The shuttle gave us incredible competence and sophistication in space operations. It seasoned us with the maturity needed to take on the space challenges of a new century. The shuttle’s matchless legacy should inspire us to craft machines even more versatile, able to carry explorers far beyond the orbiters’ lofty reach. Their lasting record of accomplishment, and that of the team that made it possible, deserves nothing less. The final call of “Houston, wheels stop” should be only the beginning of an exciting new story in space. (reprinted courtesy of Aerospace America): Please consider subscribing with a membership in AIAA. time from Carswell AFB in Ft. Worth, TX. of yellow lumber. We could hear him huffing with exertion over the intercom. No luck! jets had no thrust reversers and so our B-52 could only go forward!). horsepower! It’s the sure solution to many problems. got eight locomotives at my fingertips!” …but I figured people would think I was bragging. Still, it’s nice to think that I did once. On August 29 I enjoyed a book signing for Planetology, Hell Hawks!, and Sky Walking at the Leesburg Airport (KJYO) Open House. During the signing, while watching the EAA Boeing B-17 “Aluminum Overcast” rumble in and out on its sightseeing runs, journalist Elizabeth Kreft caught up with me for a brief chat. Ms. Kreft is an Air Force reservist and former public affairs officer for the USAF Thunderbirds. And catch up with more Leesburg Airport news (and great flying instruction) at Aviation Adventures, where I do my local flying. 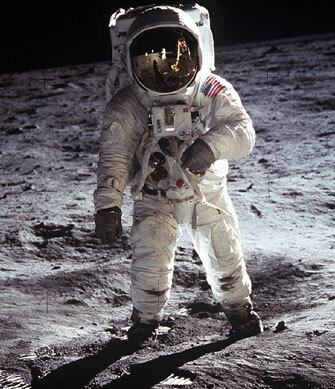 Apollo 11 moonwalk — Glad we cleared that up! "And That's the Way it Was." My neighbor, Jim Telmanowski, shot this 35mm slide image from his TV during the Apollo 11 moonwalk on July 20, 1969. 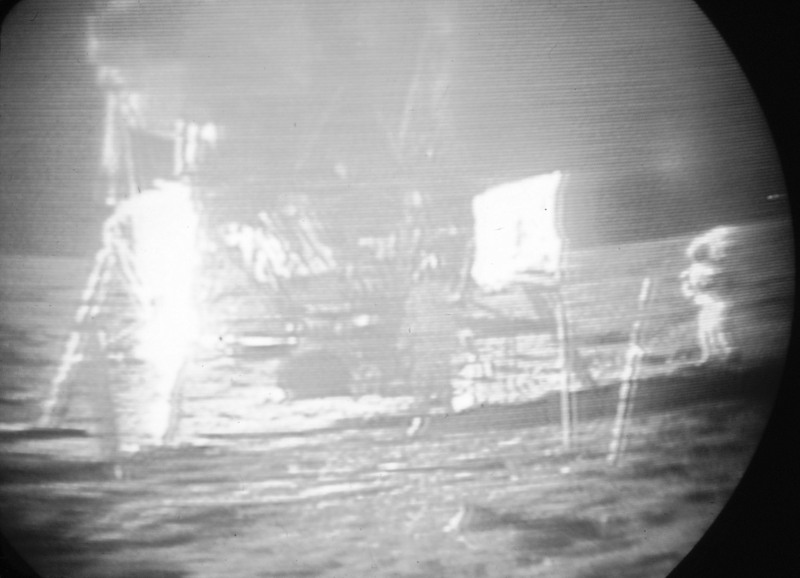 An interesting background discussion of the “missing” Apollo 11 moonwalk tapes can be found here. I do think the new NASA enhanced videos are a significant improvement. I look forward to watching the entire moonwalk once the clean-up work is done. Seeing it online will be much more accessible than commercial DVDs or occasional TV broadcasts.